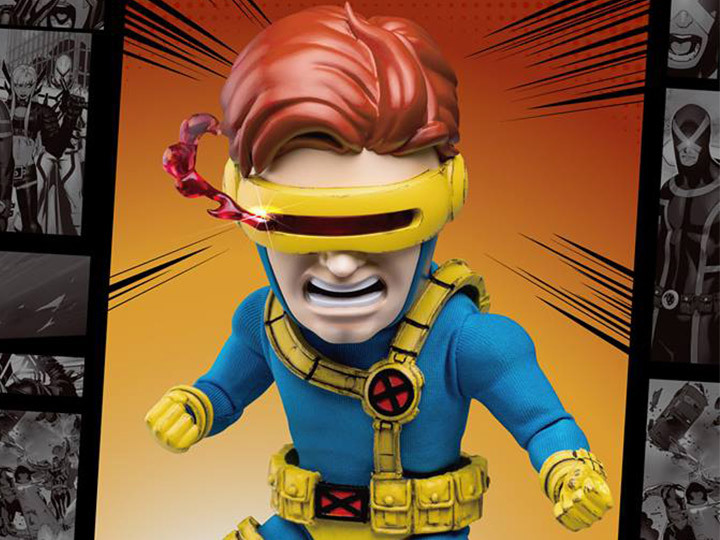 Over half a century has passed since the X-Men comics debut in early 1963 but fans of the series still consider them an unmatched classic. 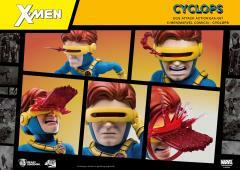 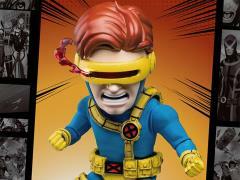 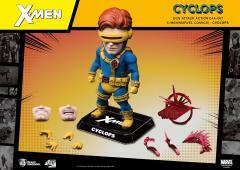 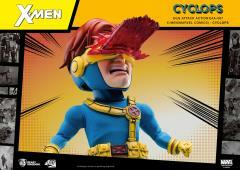 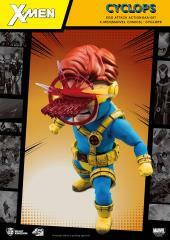 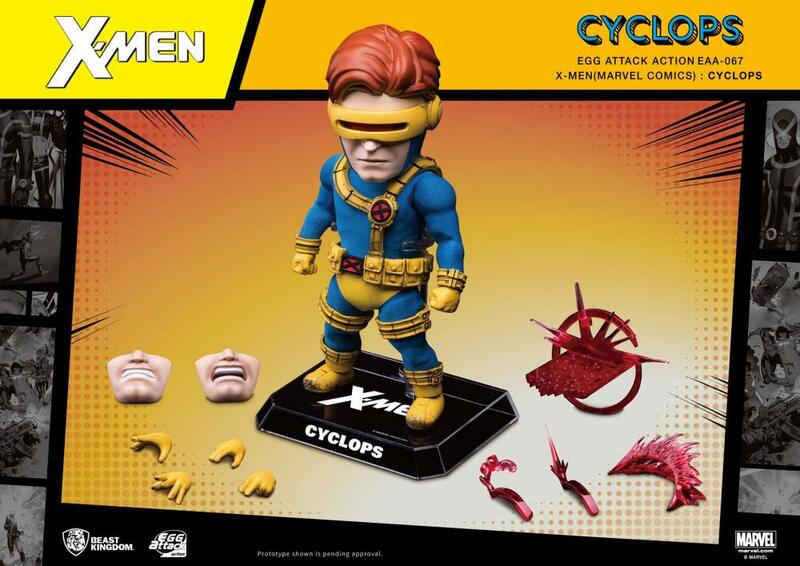 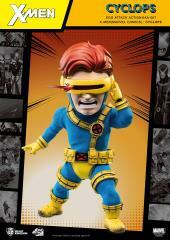 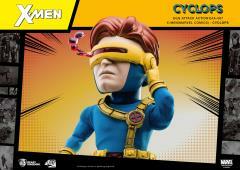 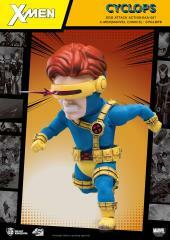 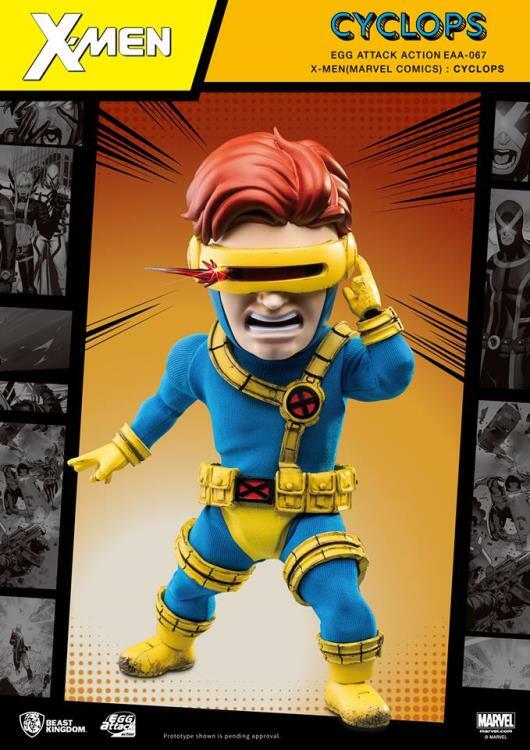 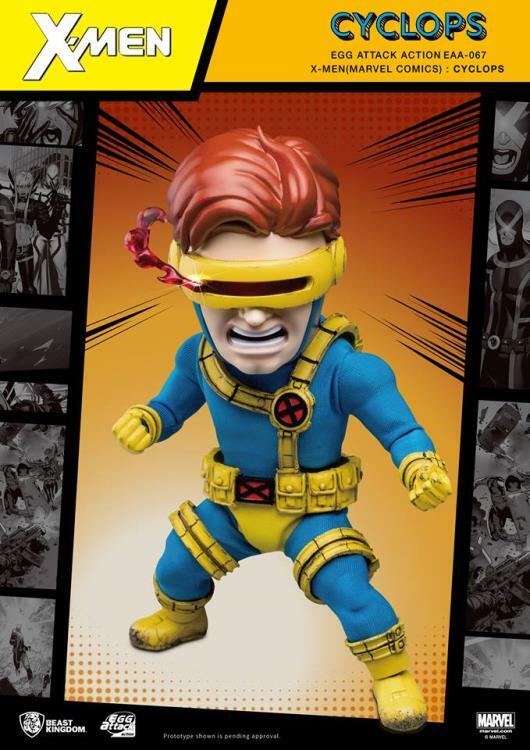 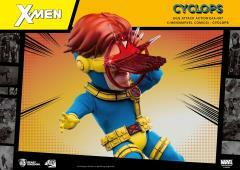 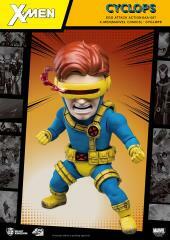 Now you can collect the extremely powerful X-Men leader Cyclops from in fully poseable action figure EAA (Egg Attack Action) form! 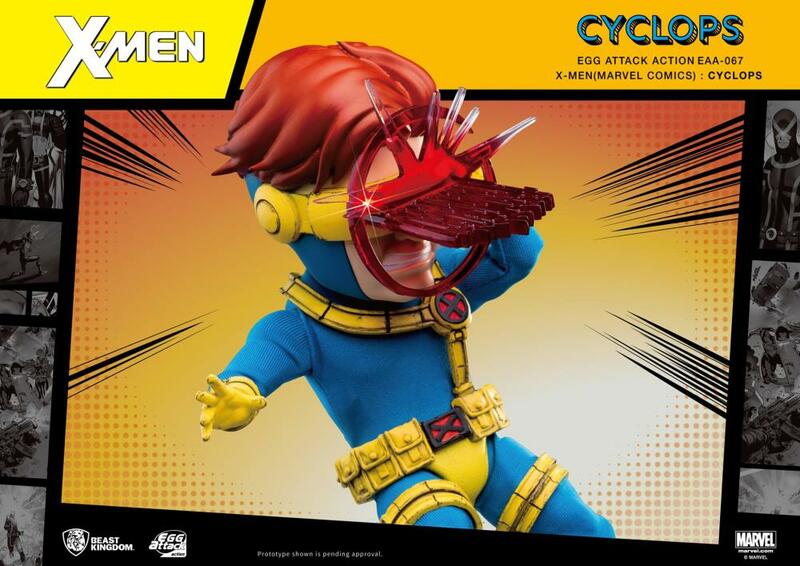 Just like the EAA-066 Wolverine, Cyclops incorporates the proportions of the Egg Attack Action cute version, and features a newly developed, fully poseable body with high-elasticity fabric. 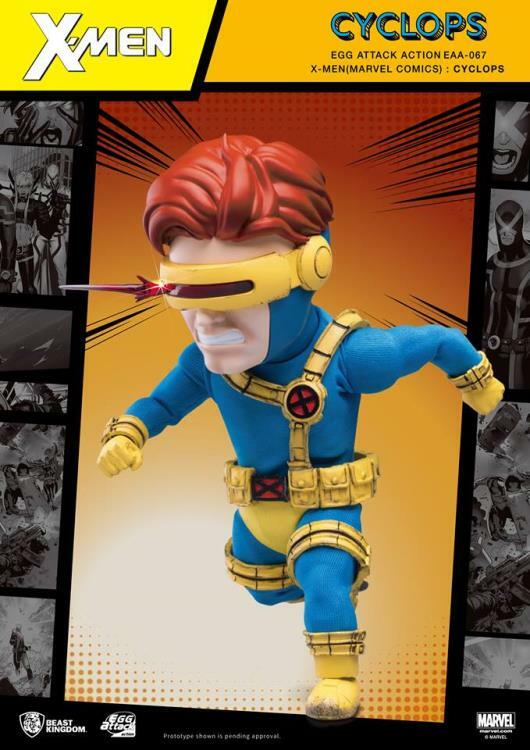 This figure’s design is faithful to the original comics and features Cyclops in his classic blue battle suit with his iconic ruby-quartz visor. In addition to the multiple interchangeable mouth shapes and hand gestures which can be mixed and matched for multiple display options, we now offer even more special-effect accessories so that Cyclops can shoot out destructive beams of fury!